"WE SHOT FIRST!" Season 2 : EP. 5 "Grime & Misdemeanors" | Star Wars Saga ed. "WE SHOT FIRST!" Explícito "WE SHOT FIRST!" Season 2 : EP. 5 "Grime & Misdemeanors"
Desde: Star Wars Saga ed. 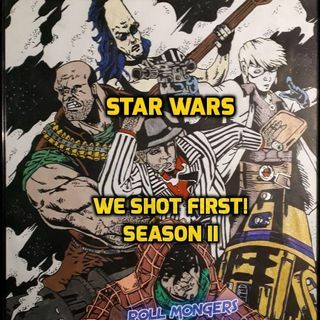 "WE SHOT FIRST!"